What is the use of having the best education curriculum but we deny the real brainy students from furthering their tertiary education? Every year, when the SPM or STPM results are out, there is a deluge of news reports of straight As students lamenting about being unable to secure scholarships or a place in a university of his or her choice. They are also denied their choice of degree programmes which is simply ridiculous. “Where is the logic in forcing one to take up a programme that they do not have any interest in? That’s as good as killing potential skills and talent,” Gerakan Deputy Speaker Syed Abdul Razak Alsagoff said. He said this was also one of the main reasons why Malaysia continues to lose talent with the brainy ones seeking tertiary education in a foreign country and end up excelling and making waves. 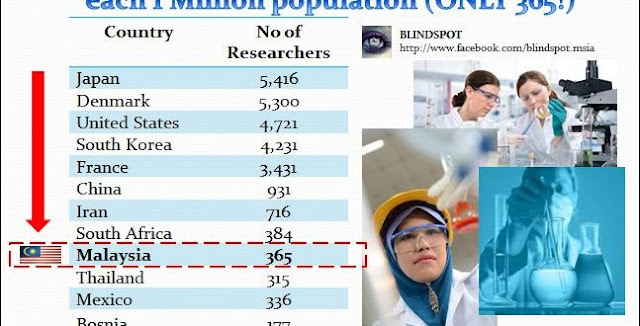 “And, just what is TalentCorp Malaysia doing about this problem of brain drain? We read about Malaysian-born students achieving world standard academic excellence and researches. “While the rest of the world, especially developed nations, are competing vigourously to attract such students to their country, Malaysia continues to turn a blind eye, pretending as if nothing has happened. “Is this the way for Malaysia to become a developed nation? How much progress can Malaysia really make in terms of science and technology?” he asked. Syed Razak, who is Gerakan’s nominee to contest N.37 Bukit Lanjan in the comng 14th General Election (GE14), said education development “can only be based on talent”. “There is no room for any other consideration. And, this means decisions on accepting students into higher or tertiary institutions of learning must give meritocracy its due consideration,” he added. Syed Razak said he saw no reason why the Education Ministry could not accept the fact that a country’s progress in science and commerce depended on the country’s ability to grow quality skillful human capital. “And quality skillful human capital is not about plucking something from the air. It’s either you have it of not. We must tap every potential talent that is available in our education system for the sake of nation-building. “Failing to do so will only mean we will never get to where we want with whatever economic plans being initiated. And that is why Vision 2020 is today history, even before the time is up,” he added. He says talented engineers are hired by companies that merely assemble Western or Japanese technology in our factories. 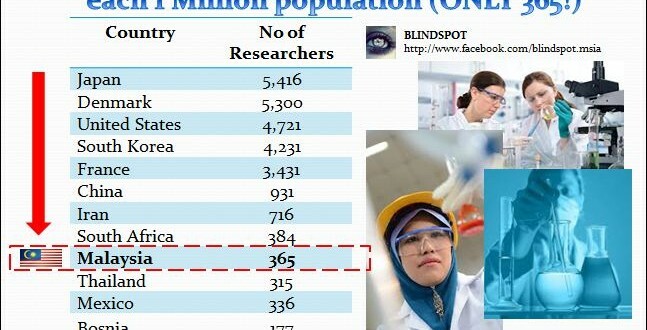 KUALA LUMPUR: A biomedical engineer says Malaysia’s engineering education is equivalent to those of top universities in the world but, unlike in the West, the country has failed to create innovators. 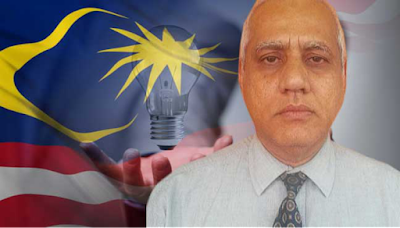 The former dean of UTM’s Centre for Biomedical Engineering, Prof Sheikh Hussain Shaikh Salleh, who now lectures, said the country lacked the will to invent products. This has led to talented engineers being hired by companies that merely assemble Western or Japanese technology. “Our curriculum at universities is similar to what is being taught in top universities in Europe. Our syllabus is as good as the West. “But in the West, the students design and apply the knowledge learned. We buy products from the West for our engineering students to assemble. “That is why after 60 years’ of independence, are there any new industries coming up? That’s because the engineers are not utilising the theories they have learned. “The first six months, they would remember what I taught them, but after they graduate, they are absorbed into the workforce and do not become innovators,” he told FMT. He said at present Malaysians have become experts as “system integrators” by taking technology from Germany and other countries and assembling them. For instance, he said Proton could have been developed further with better engines if more effort had been put into it. He said most of the students continued to pursue Master’s and PhD in management studies to excel in their career. “That is why the innovation industry is not evolving. “Look at the Koreans. When they started going into technology, they were far behind us. But they went into reverse engineering. “The government said to build local cellphones and when the engineers opened up the phone, only about 40% of the products were Korean. The government said they wanted the phone to be made wholly in Korea. “There was motivation for them to improvise and they went on to compete with iPhone,” he said. In Malaysia, he said foreign investors came in with technology but the technology was not shared with locals as the local engineers were hired to manage the production line and assemble products. “It is a crime if we have local talent and do not invest in them. We must have the will, infrastructure and the system for our engineers to apply their designs and create our own innovation in factories. He said once Malaysia invests in innovation, it will automatically motivate primary and secondary students. Sheikh Hussain was a researcher in biomedical engineering. He said he had developed a hearing screening system to detect and aid deaf children from birth. He had gone to schools to teach students about the hearing system while educating them about his invention. “You could see genuine interest in the project. He said Malaysia needed to scout for talents and invest in them. The professor felt that the education system in primary and secondary schools needed to change as teachers needed to impart knowledge with a positive attitude. “Why do we learn something? Because it benefits us. And not to forget the subjects we learned a few months ago. That is lacking. “We test our children and they cannot see beyond the exams. It is not just book knowledge. What is lacking is inquiring and being inquisitive. In Western countries, for instance, students are taught the theory to draw maps and are told to go to town with their parents to draw the design of the town. “They then come back to school and improvise on the map. These is how theory should be put into practice. “When they go overseas, they don’t have to ask people about the location of places. They look at the map and they know. The kids are taught to be masters of things."